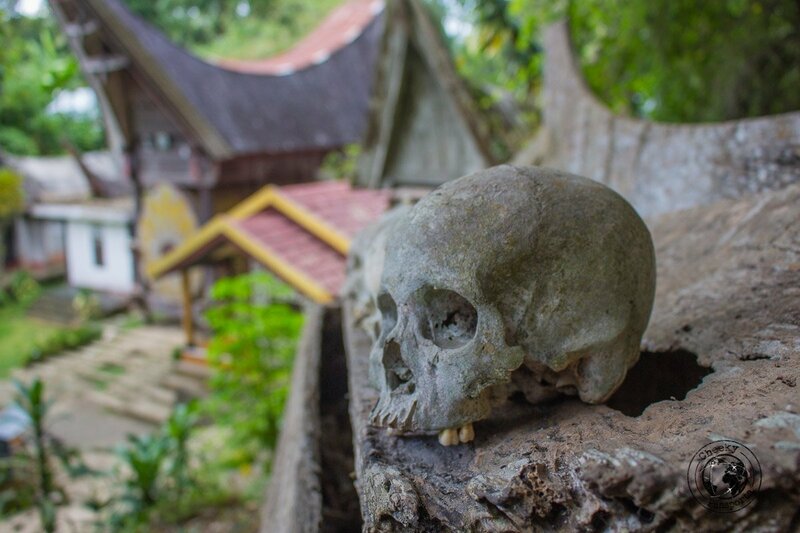 Understanding the death culture in Tana Toraja, Indonesia is no easy task. Whilst funerary rites in the western world symbolise closure after death and a departure from this world, Torajans have a very different perception of death and its significance. 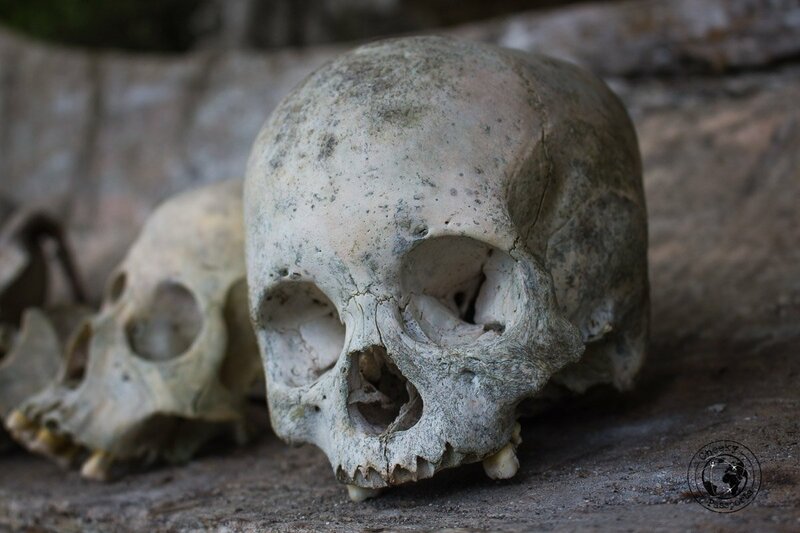 So why is the death culture in Tana Toraja, Indonesia so particular? 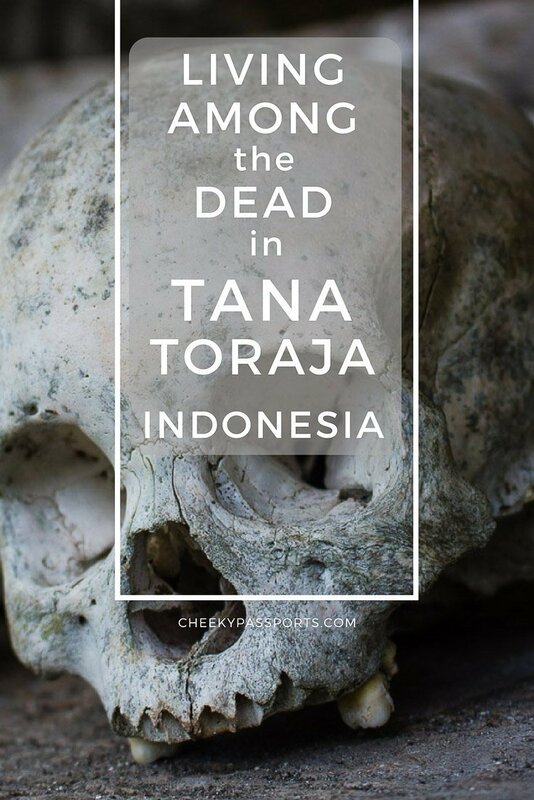 Death in Toraja is just another step in an ever-evolving process in which burial may be delayed for months or years. Until a person is buried, Torajans do not really believe him to be dead, but instead refer to him as a sick person or “to’makula”. 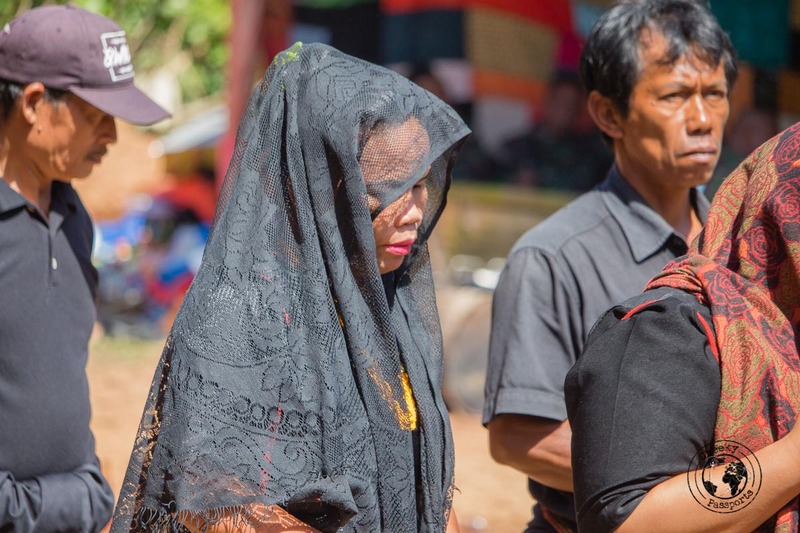 Just like in Sumba, funerals in Tana Toraja, Indonesia do not occur until sufficient funds are collected to ensure that the dead (or at that point the “sick” person) gets a proper send-off. During this time, the deceased person is fed, clothed, washed and taken out just as though he were still alive. Strange as it may seem to westerners, it is all common practice in this part of the world. Having trouble booking internal flights in Indonesia? Try using Nusatrip! The eventual funerary rites are very complex, involving the sacrifice of several animals such a water buffalo and pigs. Not any buffalo either – before being slaughtered, the animals need to “prove” themselves in a Tedong Silaga, a show of strength. The buffalo are sacrificed under the scrutiny of the watching crowd, after which the animal is skinned, cut and the meat distributed to the attending visitors. The buffalo heads are placed in the Puya (a site ‘reserved’ for the spirit of the dead), and their horns placed in front of relatives’ home. 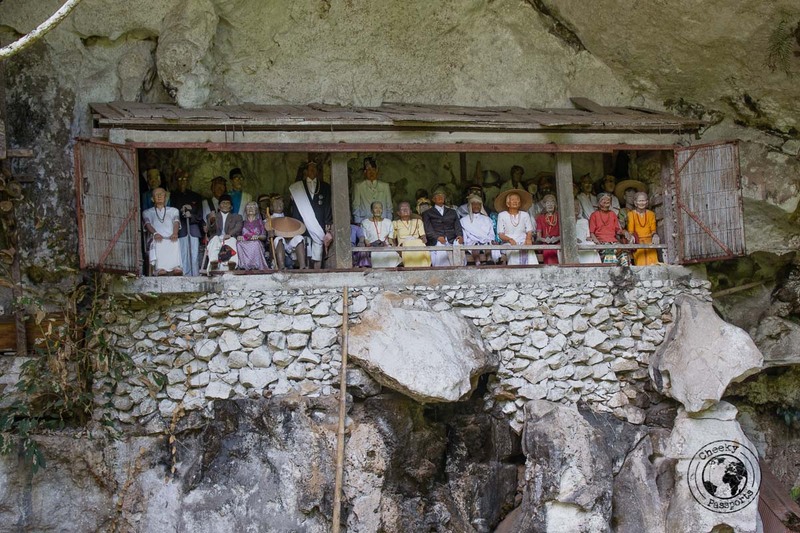 The body is put to rest on the eleventh day of the rites, very often inside a cave at the top of a cliff, a practice similar to those we observed in Sagada, The Philippines. There’s a reason why Tana Toraja, Indonesia is called “The Land of the Heavenly Kings”. Although most activities and sights in the region involve the culture of death and funerals in some form, Toraja itself is absolutely gorgeous and whether you’re intrigued by the death culture or otherwise, taking some time to visit Toraja and its surrounding beauty is highly recommended. If you’re a coffee enthusiast, Toraja coffee should also be one of the reasons why you visit Toraja! 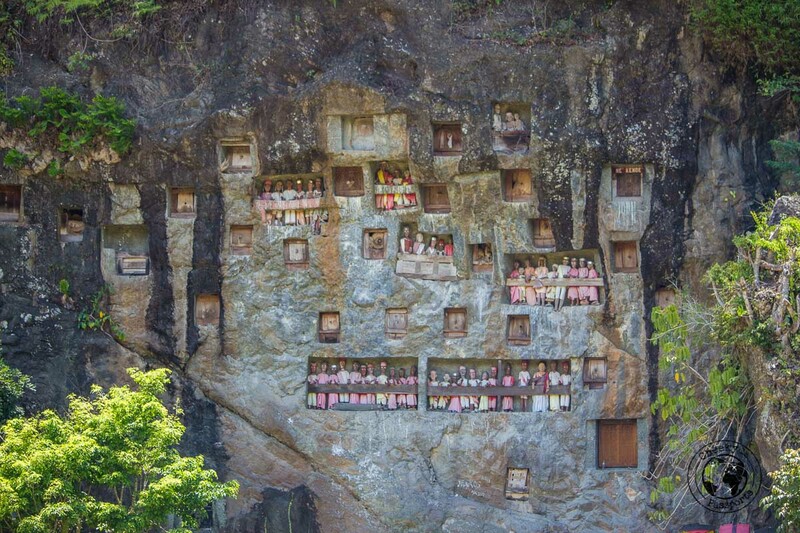 Can visitors attend a funeral in Tana Toraja, Indonesia? Yes, most Torajans are honoured by having foreign visitors at the funeral ceremony of a loved one, and foreigners are normally treated as guests of honour. 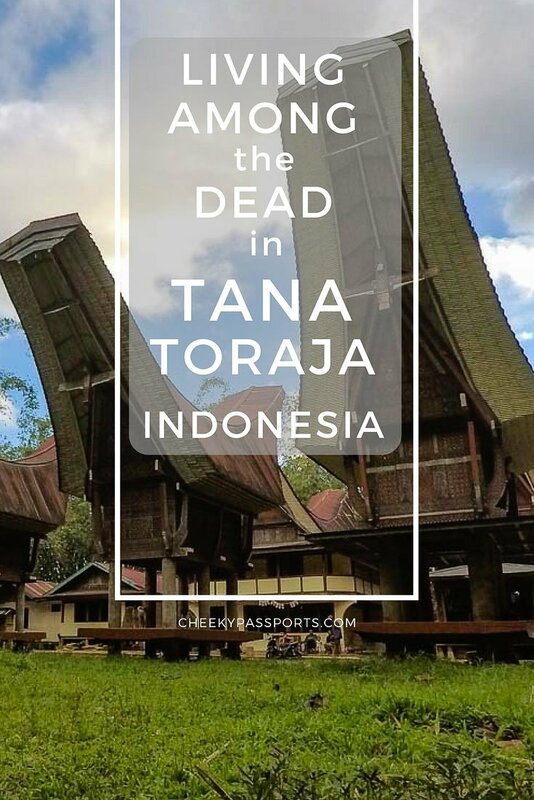 You can either hire a Toraja guide in Rantepao (where you will probably be based when you visit Toraja) or try attend a funeral independently just as we did. 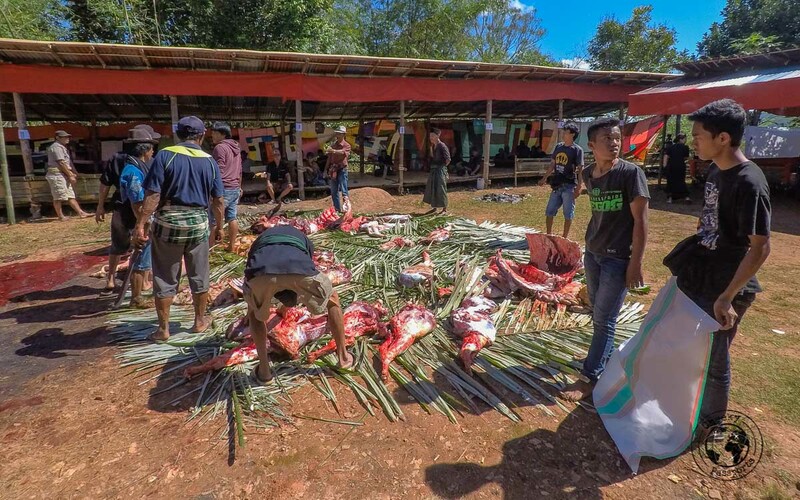 It is important to note that animal sacrifices are in no way easy to watch especially if you are an animal lover, or sensitive to the sight of blood. 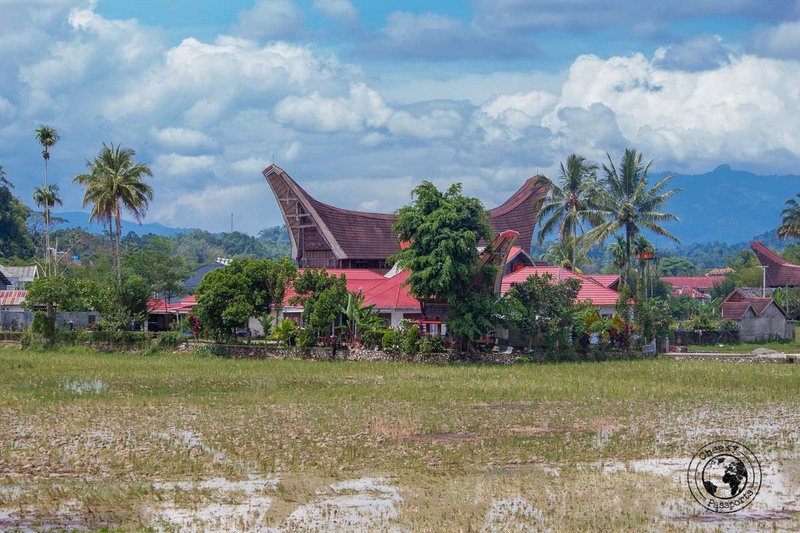 If you are thinking of going to a funeral when you visit Toraja, it is important to be mentally prepared for what you are about to experience. 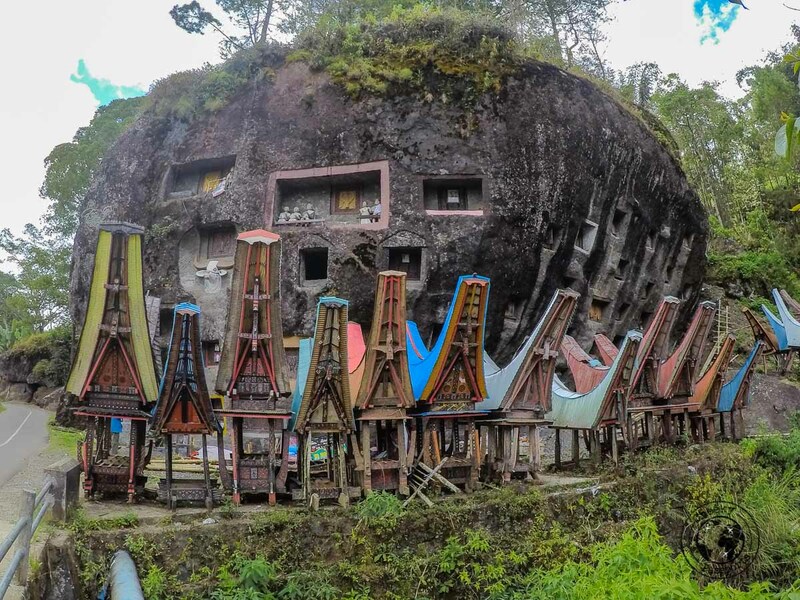 The most obvious way to visit Toraja is via Makassar from where you can take a very comfortable overnight bus or a second flight to Toraja. If you’re coming from Bali or another island in Indonesia, you can fly to Makassar – if you have difficulty using foreign credit cards, internal flights can be booked using Nusatrip. The port town of Makassar will never be one of our favourite places in Indonesia. We would advise you to get out asap; we couldn’t leave soon enough! If you need a place to stay in Makassar, we can recommend Wisma Apple for its ideal location and clean facilities. Otherwise, check the latest accommodation deals on Hostelworld, Booking.com or Agoda. Catching an overnight bus to Tana Toraja is probably the best way of traveling to the region given the comfort of the bus (unusual in Indonesia) and the affordable price. We paid 140,000 IDR (about €8.75) for a very comfortable basic seat on a Primadona Bus, which was fine. Other options, including VIP sleeper seats with TV are also available! We booked beforehand by phone (although the company advertises booking via Facebook or email, but they didn’t reply in a timely manner – in fact we only received their reply after a couple of weeks), and were presented with our tickets at the station, which is located outside downtown Makassar. We stayed at Rosalina Guesthouse in Rantepao (the main town) (+62 852-5572-5432) which had a fantastic view over the rice terraces. Following our trip on the overnight bus, we got there at around 7am and had our first taste of Toraja coffee on the terrace, until our room was being prepared. A room with a private bathroom cost 250,000 IDR (about €14.45) per night. 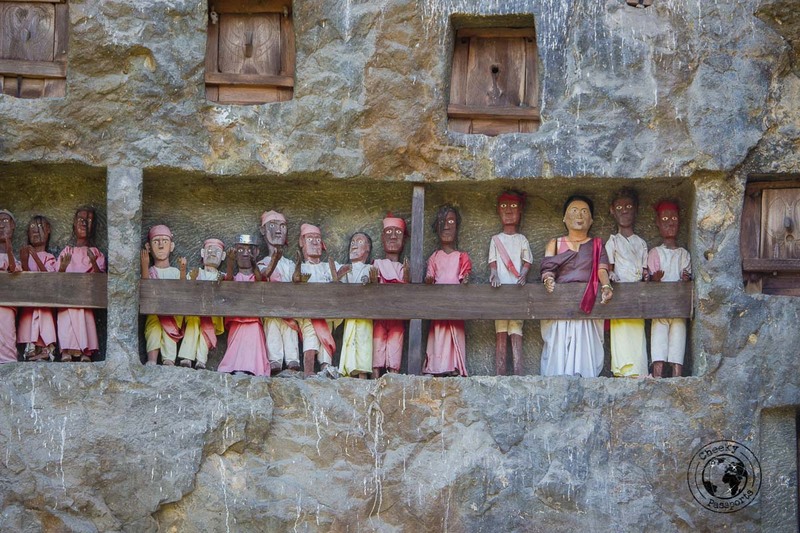 Most of the attractions around Toraja are in some way related to death, funerals, coffins and skeletons. Don’t let this put you off though! 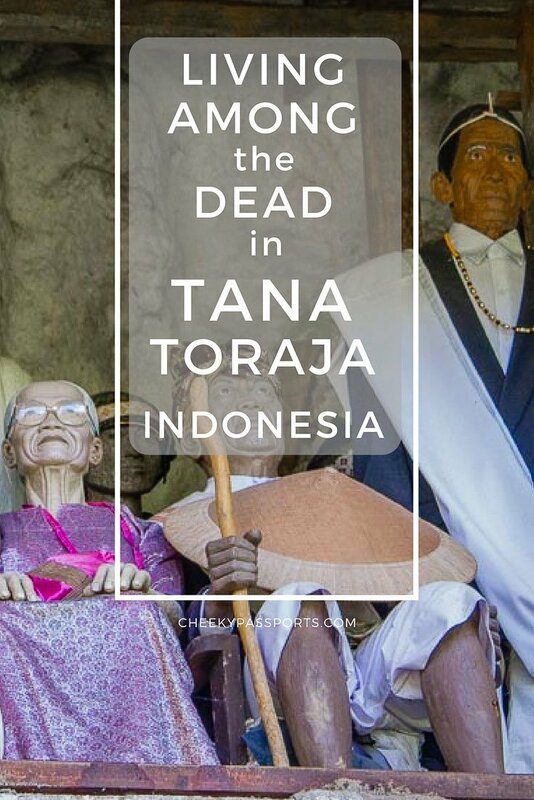 Even if you don’t wish to attend a funeral, you will soon realise that death in Tana Toraja is celebrated, and not perceived as a sad event or even something to dread. The intense preparations and efforts made to ensure a relative’s proper send-off, not only from the immediate family but also from other village members, shows a considerable amount of care and community spirit. 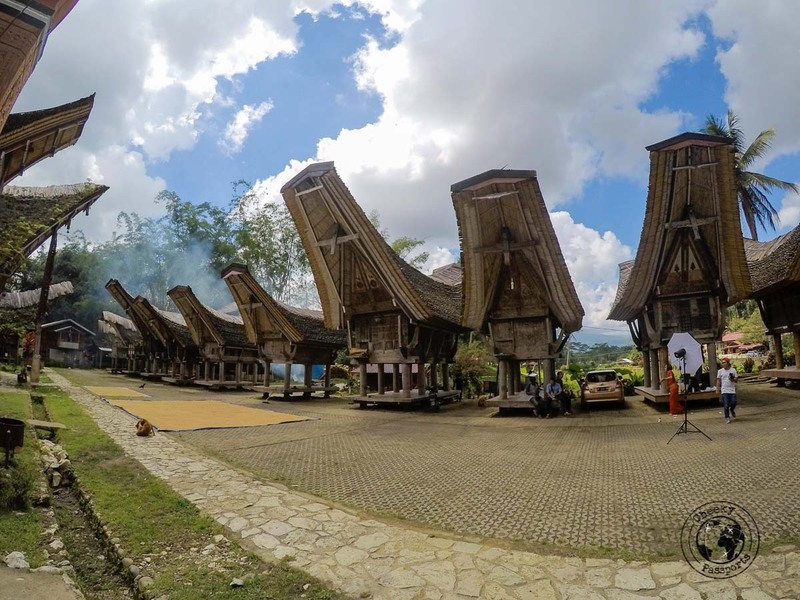 Should you go on a guided tour or can you visit Toraja independently? 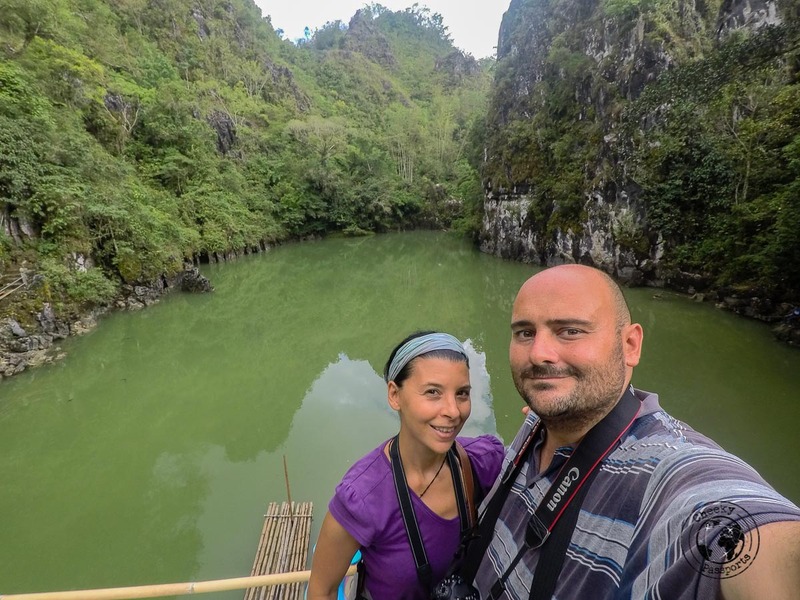 As usual, we prefer to travel independently (but not always – we decided to use a guide to visit the traditional villages in West Timor) and did not use a guide for our travels in Tana Toraja. We did, however, arm ourselves with as much information as possible about the traditions in the region, in an effort in being prepared for what we were about to experience. We hoped that our hotel would be able to provide us with a scooter but they had all been rented out already, so we hopped over to nearby Pison Hotel where we got one for 70,000 IDR (about €4.30) per day for 3 days. Helmets were included in the price. Pison Hotel seemed like a great accommodation option as well! Renting a scooter ensured that we could travel all around the area independently choosing how much time to spend at the different attractions! This should be your first stop when you visit Toraja, especially if you would like to attend a funeral since the employees here will guide you about the week’s funeral schedules and tell you (roughly) how to find the villages they are being held in, some of which are especially remote and difficult to find. Many thanks to Kirsten and Leon from Dreamtrip of a Lifetime for the tip! If you prefer a guided tour around the area, the people at the tourist office will also suggest guides to ensure that you get the best possible experience. Do note that although we chose to visit the region independently by scooter, we have no doubt that a knowledgeable guide would have provided much value to such a complex and difficult-to-understand experience. At the tourist office, one of the employees explained that a funeral would be held the following day at a little village called Kanuruan, about 20 minutes’ drive away from Rantepao. She offered her services as guide for IDR 400,000 (about €25) per day and although we declined her offer, she was still very happy to give us all the information we needed to make our way to the funeral independently. It is important to know that most of the funerals in Tana Toraja are held between July and October. Even if you visit during these months, attending a funeral is not guaranteed and of course, opportunities decrease if traveling to Tana Toraja outside this period. The opportunity to attend a local funeral is one of the biggest draws in Tana Toraja, Indonesia and probably one of the most insightful experiences we have had during our four months of travels in Indonesia. We were told to go early and planned on getting there at around 7.30am. Nikki had pinned the village location on Google Maps but it still wasn’t easy to find. Finally, we met a local woman dressed in black who we presumed was headed towards the funeral, and she pointed to a dirt track leading uphill, which we followed to finally arrive to a large open space around which, a number of people were gathered. We felt awkward initially, wondering who to approach and how, but as soon as the villagers noticed us, they immediately ushered us to the house of the deceased’s family and were offered tea and cake, as we gifted them with a stash of cigarette packs. One of the men tried to explain in broken English and sign language that the deceased was his father and that the funeral is being ‘sponsored’ by each of the deceased’s four sons, such that four buffalo were being sacrificed. The number of animals to be sacrificed is an indication of wealth. Rich families would often afford many more, even a hundred buffalo are sometimes sacrificed during one ceremony! In the meantime, other members of the family brought their young kids to ‘look’ at us and we were encouraged to hold them on our laps and play with them. I’m not sure whether this signified some kind of good luck for the kids, or whether they just needed some babysitting! After about half an hour of eating cake, trying (and mostly failing) to converse, and playing with the kids, we were told that the funeral was about to start. A funerary procession dressed in black made its way to some sheltered seats as the first buffalo brought out. Four men surrounded the animal and without further ado, one of them slashed its throat with no more than a very sharp 20 cm knife, whilst the others tried to ensure that it would cause no panic among the crowds. Just like that. With no particular ceremony or fuss. The process was repeated until all four buffalo lay dying on the blood-spattered soil, with their tongues sticking out, gasping for the last breaths in the festering heat. As litres of blood gushed out of the animals slit throats, the villagers looked on, and the whole ceremony was in no way a pleasant one to watch. It was sad to see such massive, powerful beautiful beasts being reduced to lifeless carcasses, but we could only appreciate the intensity and meaning of the ceremony as we remembered that this was considered to be one of the most significant parts of the funerary practice. After that, several pigs were killed with a direct stab to their hearts, as adults drank beer and children played with balloons around the animal carcasses. In the meantime, the buffalo were quickly dissected into several parts and each part was taken away, presumably to be cut up further. The atmosphere was very festive the whole time with very little grief being displayed. Eventually, a military parade commenced whereas we realised that the deceased had been a military officer and his funeral was in fact being attended by several members of the armed forces. 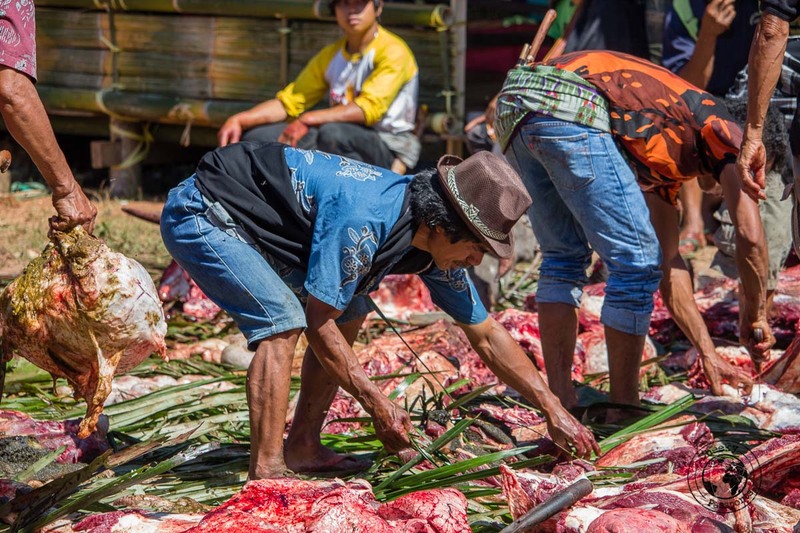 When much of the ceremony seemed to be over, we made our way to the back of the village to quietly leave, when we noticed several men under the shade of a make-shift canopy, sticking their hands in large buckets of what seemed to be meat. 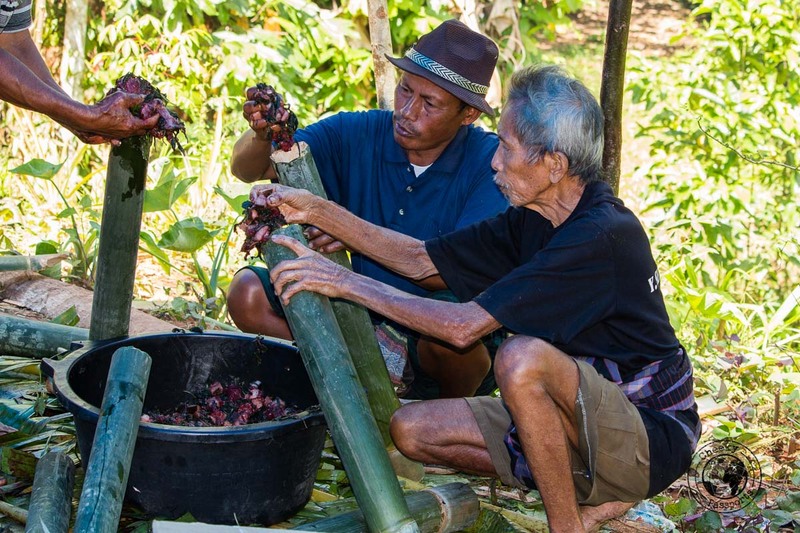 Upon closer inspection, we realised that they were preparing Pa’Piong, which is composed of bits of meat (pork in this case) mixed with blood, herbs and vegetables and stuffed into a bamboo casing which is then slow-cooked over an open fire. 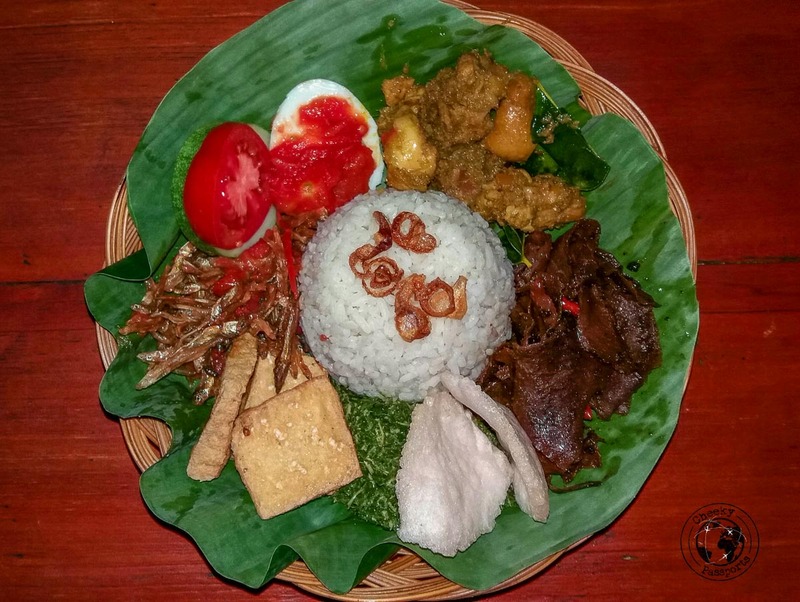 We had sampled the dish the night before at a local warung and although I did not mind it, Nikki wasn’t too impressed, mostly because of all the unknown animal parts it contained and its slightly bitter taste. The villagers making the dish, who were all men, were happy to show us how to make it all come together, and we greatly enjoyed watching the whole process which also seemed to double up as a community event. The site of Kete Kesu with its quasi-perfect, elongated, boat-shaped Tongkonan is maintained as a ‘living museum’ for those wanting to visit a traditional well-conserved Torajan settlement. 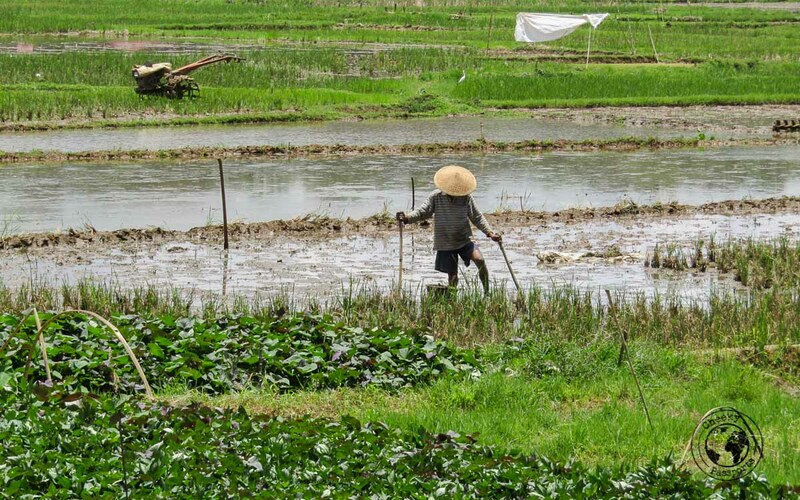 The village which is said to be over 400 years old, is surrounded by a number of beautiful rice fields and consists of houses and granaries laid out facing each other. 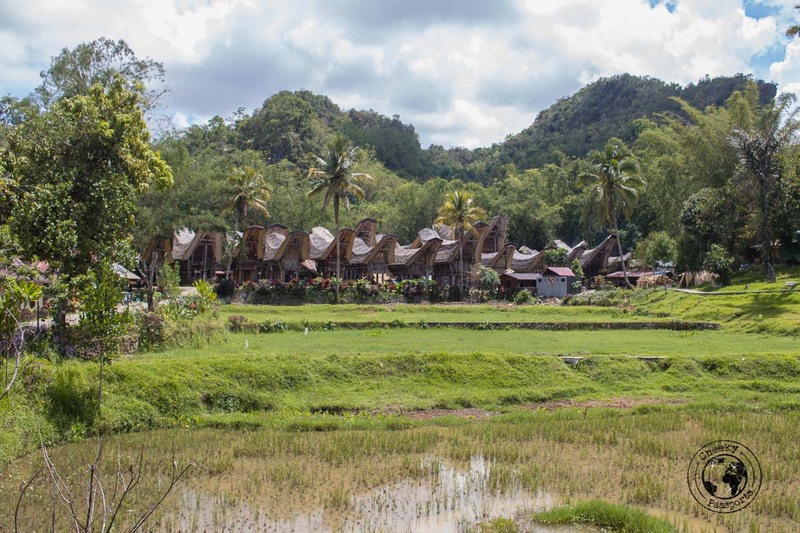 Ceremonies are often held in this little village; the tourist office might be helpful in pointing out whether any are happening when you visit Toraja. We spent some time looking at the Tongkonan, after which we headed behind the village to climb up to cave used as a burial site which holds several coffins and skulls, most of which exposed and scattered, whilst being as careful as possible so as not to touch or step on them. Although clearly set up for tourists, the site provides a fantastic insight into the unique nature of traditional villages in Tana Toraja, Indonesia without feeling too over-bearing or fake. Although we visited several other villages and sites in Tana Toraja, this was still one of favourites for the fact that it provided a very complete perspective of traditional Torajan life. This little lake is worth a look if you’re traveling around the area and want to visit something unrelated to death and funerary rites. Whilst not being particularly spectacular, the green-coloured water is surrounded by rugged cliffs making it rather pretty, and it seems to be relatively unknown to visitors in the area since we were the only people there! This site is home to two caves which are apparently interconnected, but we were told that we could not pass through (Nikki was not to blame this time round). The main cave is pretty dark, and since we had no flashlight we hired a local guide, who showed us the way through with a lamp. This set us back for an additional 50,000 IDR (about €3.12) which we thought was fair considering that he also gave us a deep an insight as possible into Toraja’s fascinating culture of the dead. 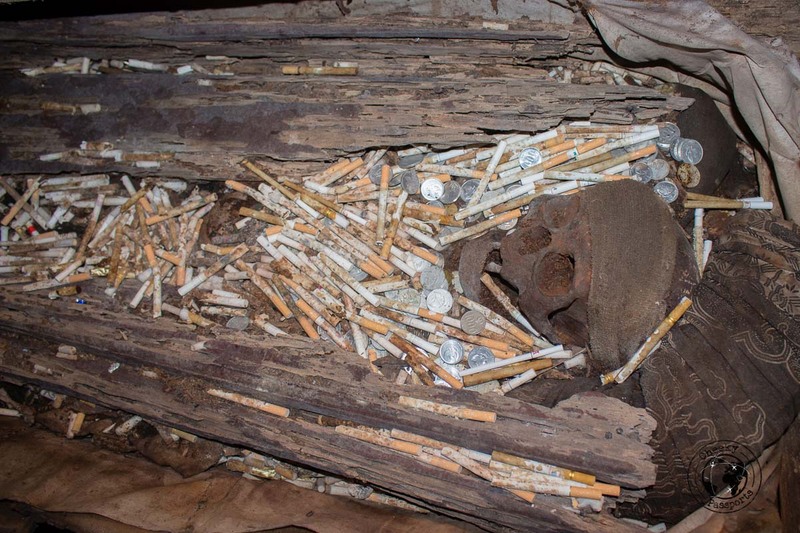 The caves are full of stacked coffins and skulls, as well as objects such as cigarettes which are offered to the dead to help them along their journey. The guide explained that the poorer people are buried in these ground-level caves, whilst wealthier people and those of a higher social rank bury their dead in caves high up on the cliff side. A path will lead to viewpoint from where you can actually observe the coffins on the cliff face. The burial site of Lemo is probably the ‘prettiest’ of them all, being located on a cliff face alongside some beautiful rice paddies. 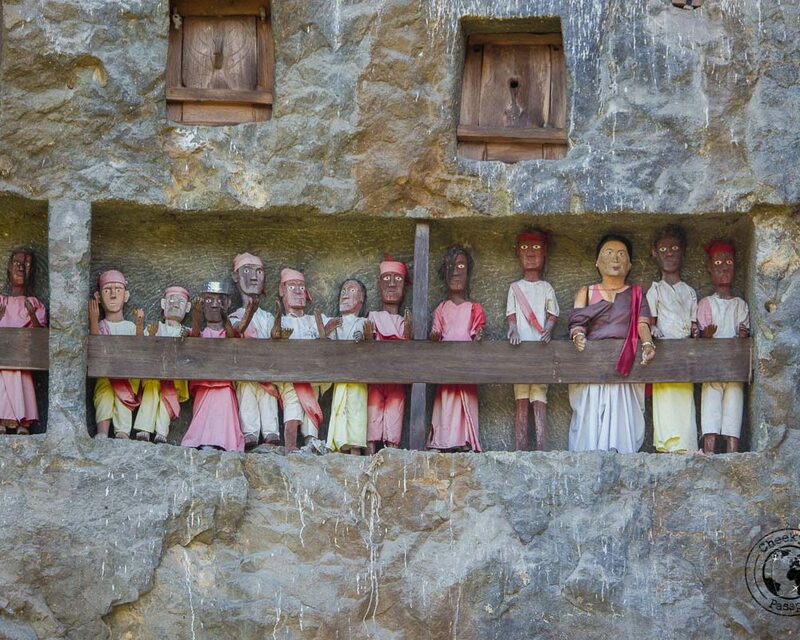 Several niches have been carved inside the stone cliff where coffins are held, and several Tau Tau statuettes stare down at onlookers from a balcony cut in the same cliff face above. 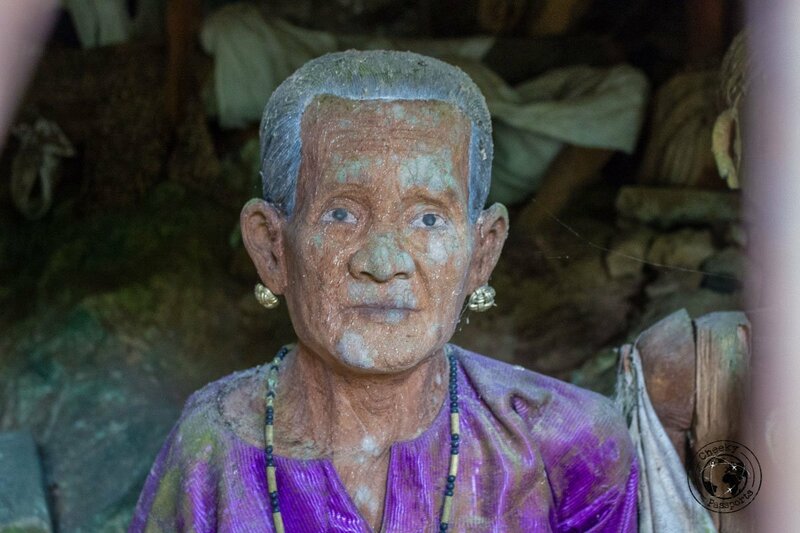 Tau Tau are wooden effigies which are carved in a likeness of the deceased. The visible presence of the deceased make Lemo a true example of how the dead are still very much part of everyday village life in Tana Toraja, Indonesia! A huge rock face is packed with carved tombs whilst fallen skulls and bones litter the valley floor beneath. You can observe all this from a rotting rickety wooden viewpoint after climbing up some steps on the other side of the valley, facing the cliff. We were told that babies were ‘buried’ in the massive trees close by, on platforms held up by the tree branches. A very unassuming and quiet burial site which was deserted on our visit. Apparently, this is one of the oldest burial sites around and seems to be yielding slowly to the jungle, which somehow enhances its already spooky aura. Not death related this time! 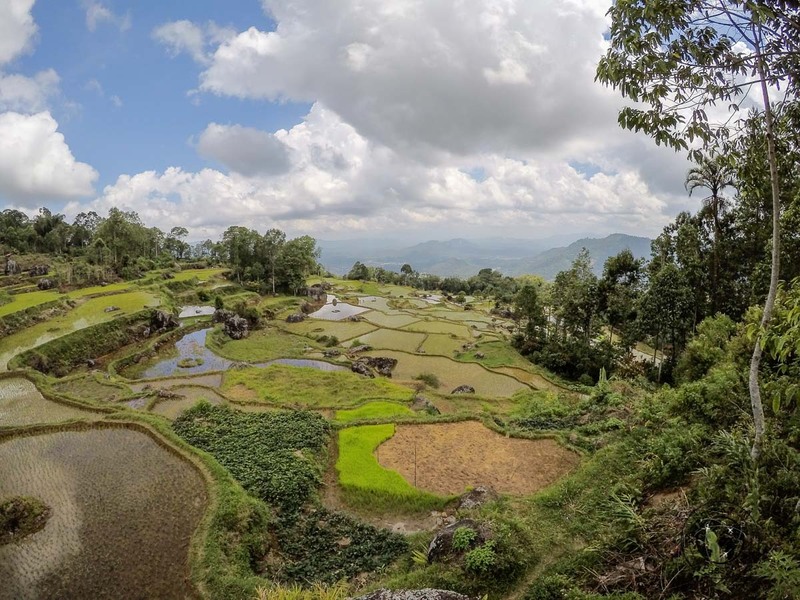 This village is set on a high ridge having some great viewpoints from where to take in the fantastic scenery across the rice paddies and the lush surroundings. You can sip Toraja coffee at a café close by, as you sit and enjoy the breath-taking surrounding beauty. 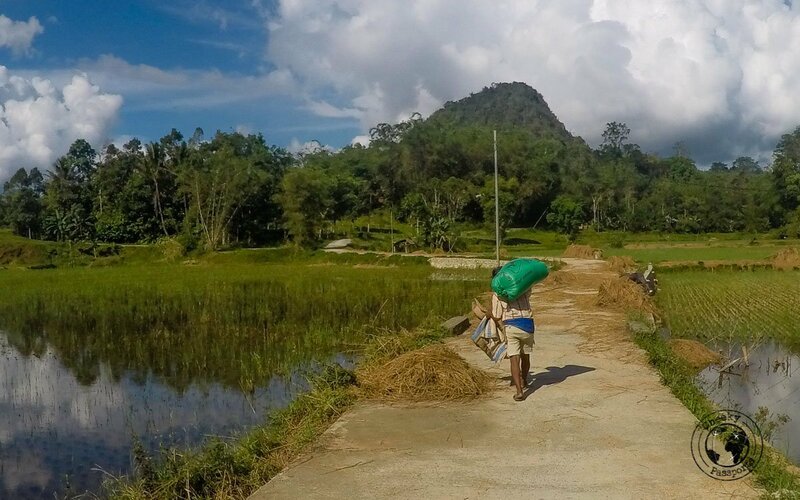 You might encounter locals washing or walking their buffalo here, and villagers working in the rice fields, showcasing the simplicity of local Torajan life. 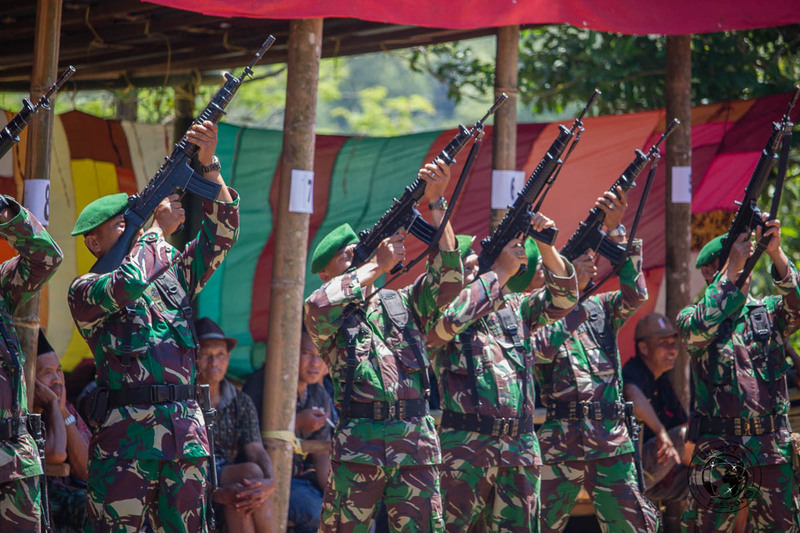 We thought that the burial site of Loko’Mata was almost ‘cute’ if it is possible to use such a term for a sombre site, although during our time in Tana Toraja, it became quite evident that death was not treated as the sad affair it is in the west. 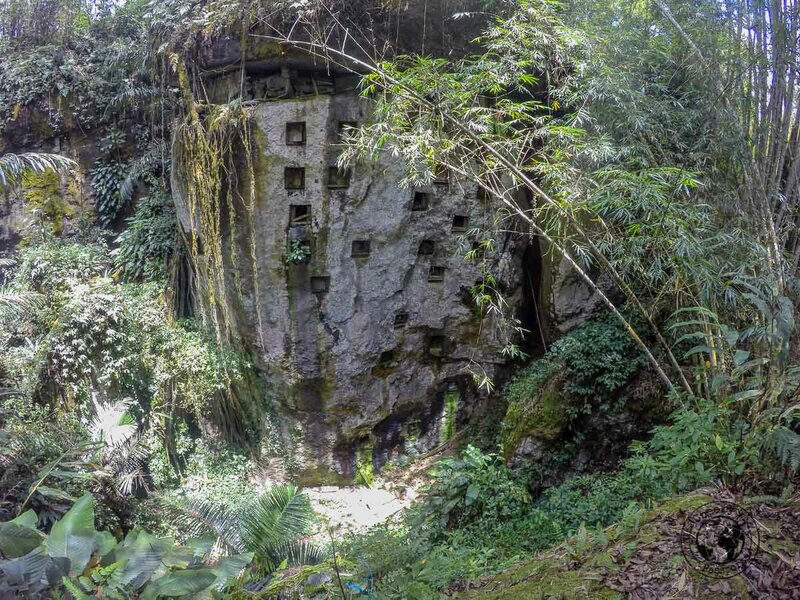 The site of Loko’Mata is a huge spherical rock with more than 20 burial chambers carved into the stone. 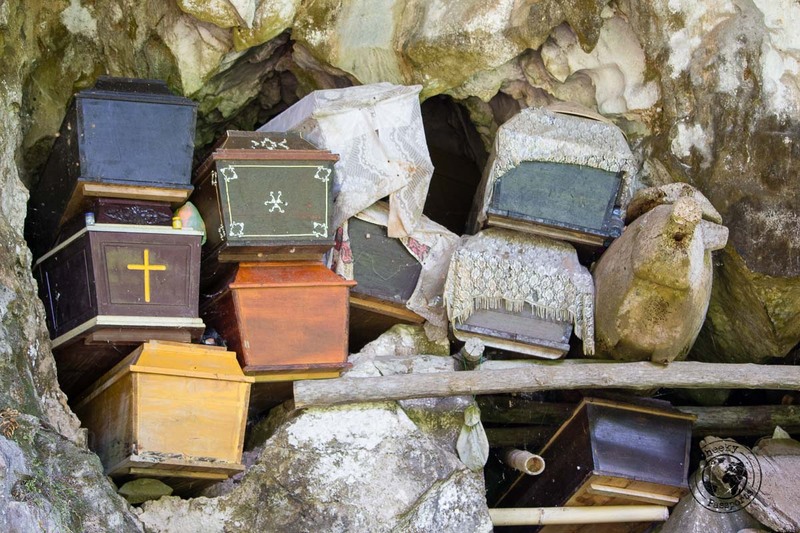 People are buried according to their importance and social status in the village, with the more important people being buried at a higher elevation. Some mini, brightly-coloured Tongkonan are located directly in front of the burial boulder, making this site very unique and different to the others we had seen already. We were not asked to pay any fee here, the site being literally at one side of the main road, and very easily visible from the roadside. Much as we’re interested in Tana Toraja’s very unique culture and much as we wanted to learn about all the customs, one of our best experiences in the region was simply to drive around the very lush countryside, through trails and dirt paths, up the hills and back down among the rice paddies, observing the simplicity of local life on the way. The whole area is incredibly scenic offering multitudes of caves, forests and fields spread out in the relatively large region. We could easily have spent a lot more time exploring it by scooter, if only we could have stayed longer. Besides the death culture and spectacular landscapes, Tana Toraja, Indonesia is home to the distinct Toraja coffee, an Arabica variant, with a well-balanced flavour and mellow aromas. Toraja coffee is grown in high altitude, mostly by independent farmers, and is best savoured in Tana Toraja itself, directly at source. Coffee shops in Rantepao serve authentic Toraja coffee, and if you’re a coffee connoisseur, we strongly recommend that you try out Toraja coffee when you visit Toraja. You will not be disappointed! We enjoyed all the food we sampled at Warung Malada but the one particular dish was the homemade spicy noodles for which you could select the spiciness level of the accompanying chilli sauce from a chart showing levels of 1 to 40. Nikki casually decided he wanted a level 4 (assuming this to be mild since it falls within the lower range), but the waiter politely suggested that that might be too much. We settled upon a level 2. The dish was very nicely presented and Nikki happily tucked in, but started tearing up after a couple of forkfuls. Needless to say, Indonesian chilli spice levels are not for the faint-hearted! We spent some time at The House before catching our bus back to Makassar. I really liked the fact that they offer a platter containing small portions of typical Torajan food, including dishes such as pounded cassava leaves and chili anchovy among others, so that I could sample a lot of what the region has to offer at one go! Also, they have a wide selection of fresh Toraja coffee sourced directly from the local farmers. If you’d like to sample authentic Toraja coffee, this should be your go-to place! Tana Toraja, Indonesia has to be one of the most unique and authentic regions in all of Indonesia. 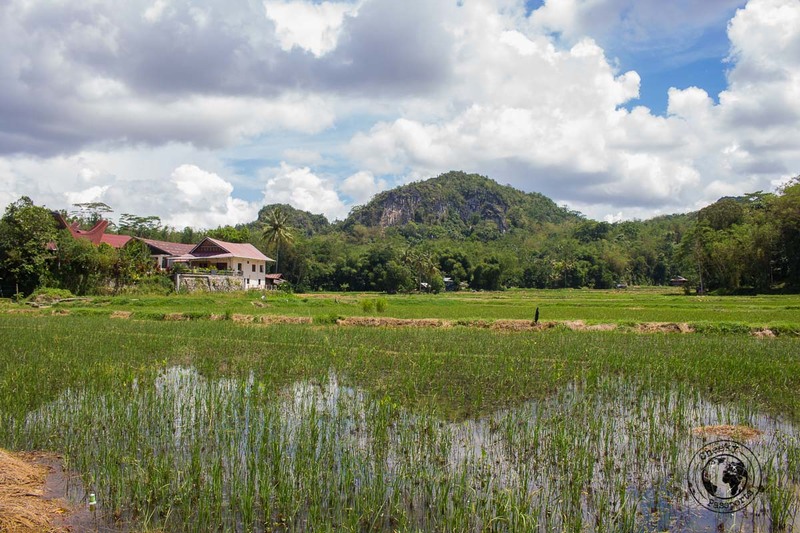 If you wish to experience a culture with some truly unique beliefs and customs, set within what is probably one of the most scenic areas in Indonesia, be sure to visit Toraja! Do You Like it? Pin it! This is a fantastic post. I had never heard of any of this and learned so much. Thanks for writing about it, and so well.